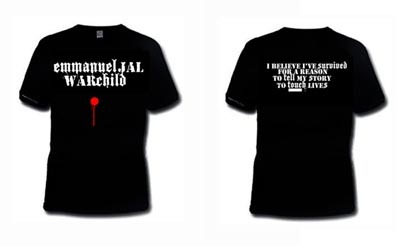 Emmanuel Jal "Warchild" T-shirt. White logo on black shirt. "I believe I've survived for a reason to tell my story to touch lives" lyric on rear. Buy now while stocks last!